6+ Game-Changing Curling Iron Tips and Hacks for Beginners! HomeFashionBeauty Tips6+ Game-Changing Curling Iron Tips and Hacks for Beginners! When you got your first curling iron, you probably spent a day experimenting with it and felt giddy at the big curls that adorned your hair. It’s fun to change things up! But if you haven’t learned how to achieve anything more than a few different styles with your curling iron, you’re seriously missing out. From messy waves to tight curls, you can tap into your curling iron’s true potential with these top hacks and tips. You wouldn’t think that rotating the iron 90 degrees would drastically change the appearance of curls, but it does indeed. Holding the iron vertically results in looser curls that make you look like you’ve spent a day at the beach. On the other hand, holding it horizontally will give you tight curls with a bit of a bounce and sophistication. Those red-carpet glam curls? The hairstylists definitely held the wand horizontally! Want big, bold curls? Use a barrel with a 1-inch diameter or greater. Want a naturally curly look? A smaller barrel will give you the smaller, tighter curls you’re looking for. If you have short hair, realize that the big curls won’t look right without enough hair to work with. Barrels 3/4 of an inch or smaller are best for short hair. 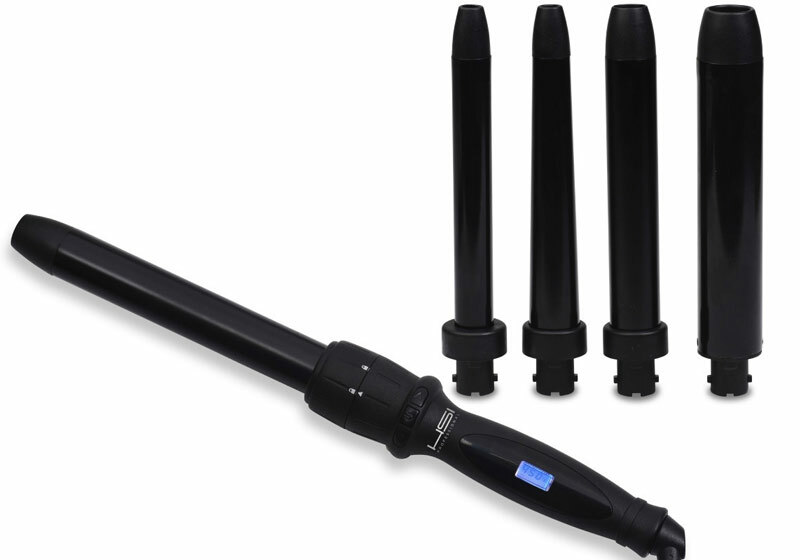 Fortunately, you can easily shop for curling irons online to find one with interchangeable barrels for all of the latest trends. And can save money on hair accessories by utilizing coupons from OZCodes, Forever New is one of its leading retailers that has an exclusive offer. Want a Natural Look? Don’t Make This Mistake! You’re ready to try loose, natural, beach-worthy waves. You work in 1-inch sections all across your head, and after what feels like an eternity, you finally slide that last coil off the wand. Looking in the mirror, you can’t quite put your finger on what doesn’t look right. Your hair doesn’t look natural at all. In fact, it practically screams “curling iron.” What gives? For a tousled, slightly messy but nonetheless beautiful bohemian look, it’s essential to turn the hair in opposite directions every time you wrap a new section around the curling iron. So while you might wrap the first section around the curling iron clockwise, the next section should go around it counter-clockwise. If all the curls are in the same direction, you won’t achieve that wind-swept, helter-skelter, every-which-way look. Spray your hair with hairspray before using the curling iron. The spray can cover the full length of the hair, and the heat of the iron will help it work even better. Set your curls with pins to help them cool before dropping them. Cooling the curls before they must carry their weight prevents premature sagging. The best way to do this is to pin them to your head as soon as they come off the barrel. Start the curls close to your head. The easiest way to get day-long performance from your curls is to place the curling iron as close to your scalp as possible (being very careful not to burn yourself, of course). Learning the dos and don’ts of hair-styling often comes down to experimentation and research. Only you can decide what style you like best! Have fun and share additional must-have tips below.